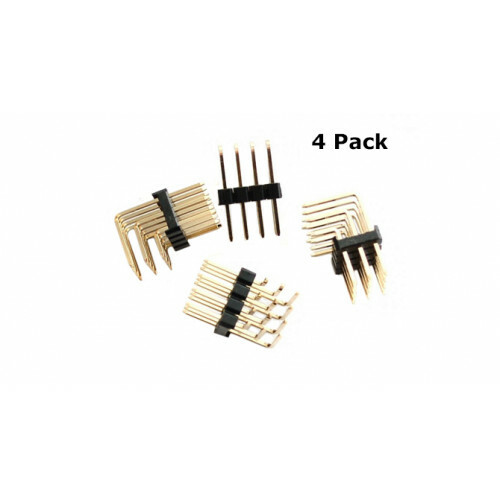 Three rows in a right angle header are great for when you want to connect cables that come in sets of three with a pitch of 2.54mm, like sensors, or servos. 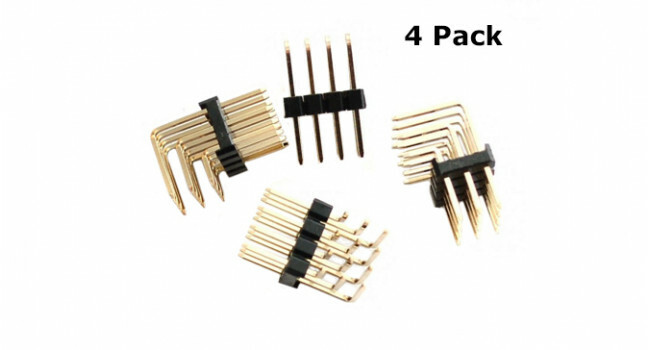 These plug into any standard 2.54mm spacing perf-boards or other PCBs and work nicely with our female-ended wire sets. Comes in a set of four pieces, each piece is 3 rows by 4 rows. You can stack these next to each other in any direction.